A puppetry, dance and spoken word piece by Shoshana Bass about belonging, memory, and love between generations. 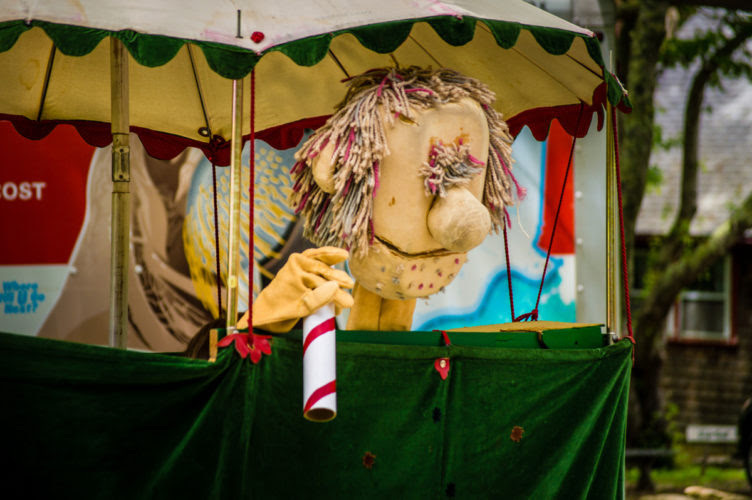 Thursday July 12 at 8 p.m., Friday July 13 at 8:30 p.m., and Sunday July 15 at 5 p.m.
Shoshana Bass and Jana Zeller of Sandglass Theater present a collection of delightful and compelling short puppet pieces in Punschi. Perfect for kids and adults alike! Sandglass Theater is excited to announce our 10th Puppets in the Green Mountains Festival: Opening the Doors. This September, theater companies from the United Kingdom, Taiwan, Canada and the United States will appear in venues throughout Brattleboro and Putney, VT, exploring themes of Access and Inclusion — highlighted by a keynote speaker to focus us on the dynamic relationship between activism and the art of puppetry. This exciting festival of performances, workshops, community dialogues, exhibits, and a unique puppet slam will celebrate the rich world of Puppet Theater, through which we connect, learn, play, and engage! Please click here to send us your mailing address for a schedule of events.